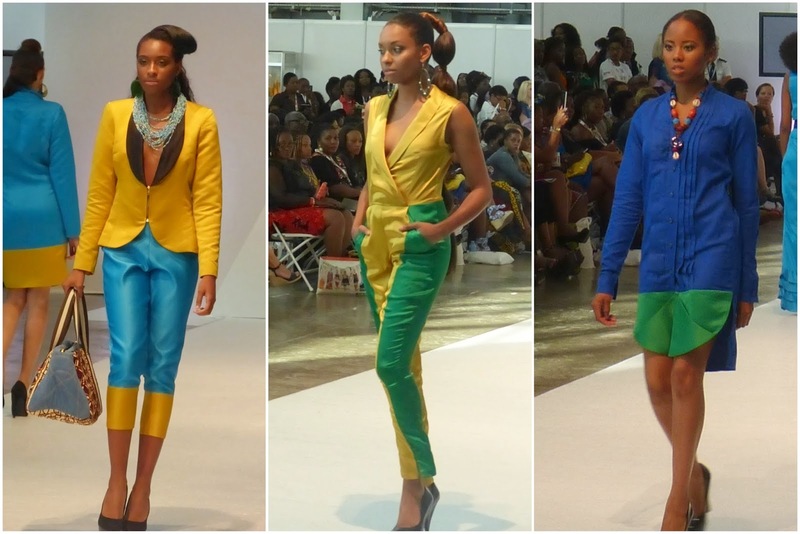 You are all in for a visual treat [aka a colourful catwalk photodump]. 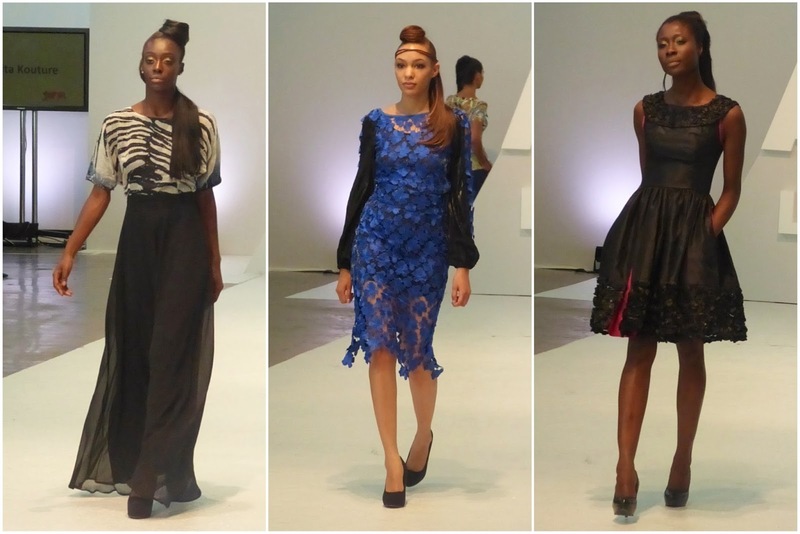 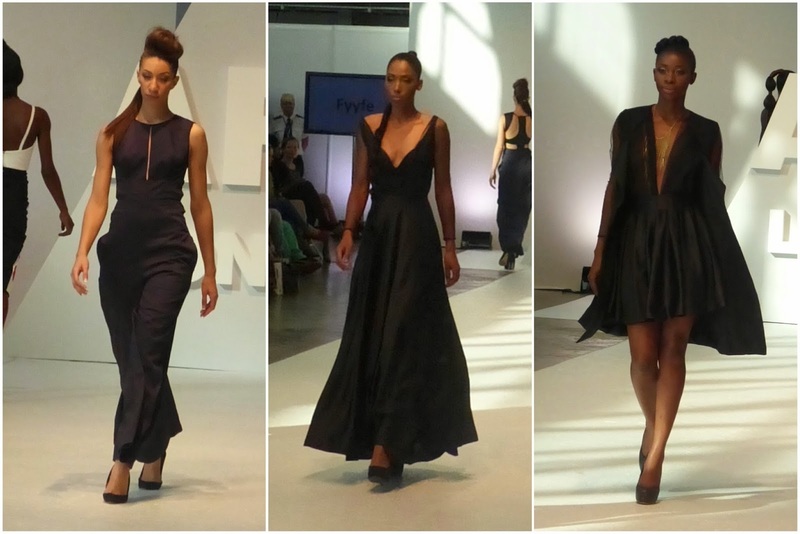 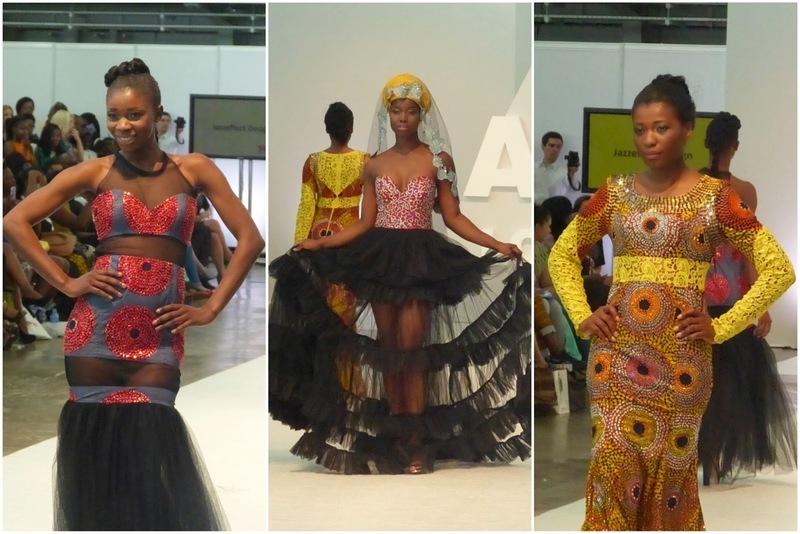 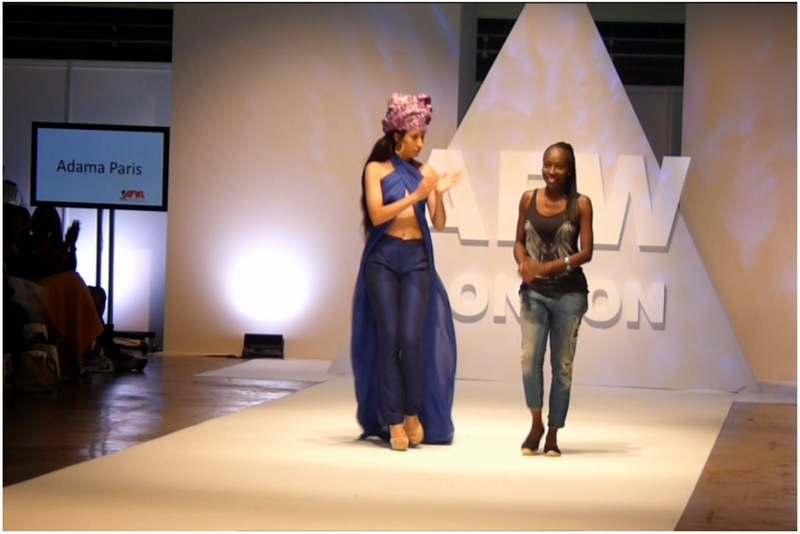 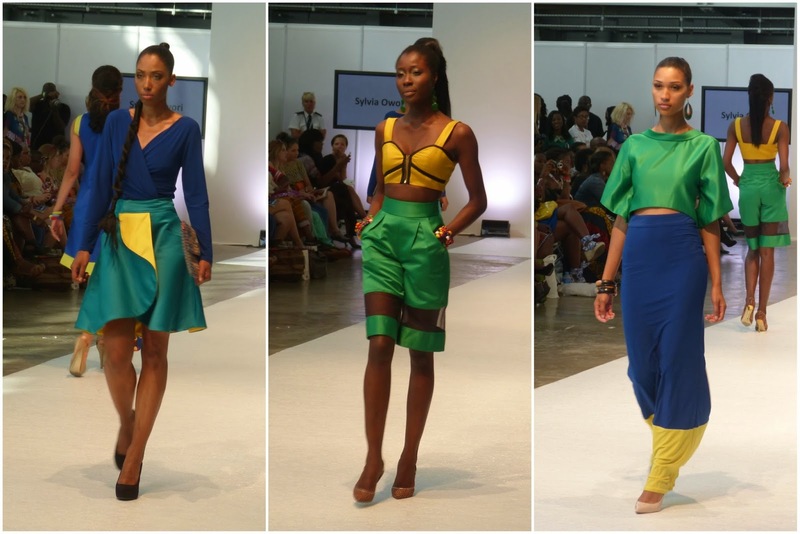 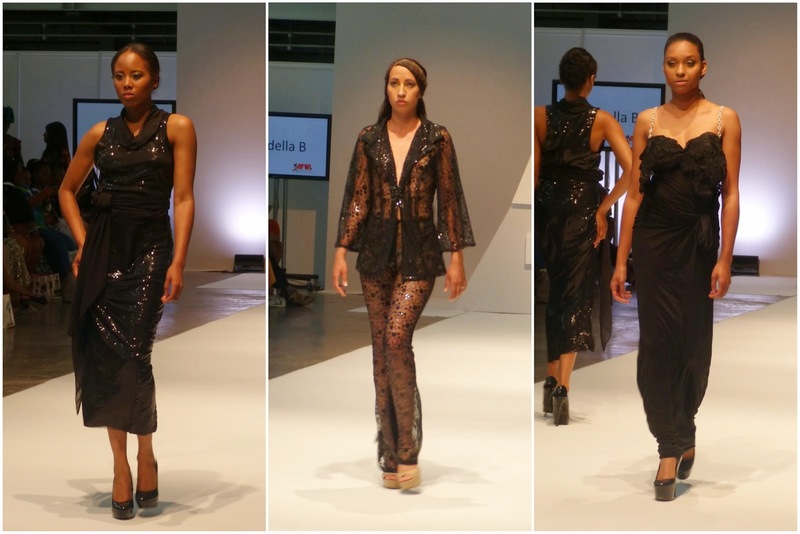 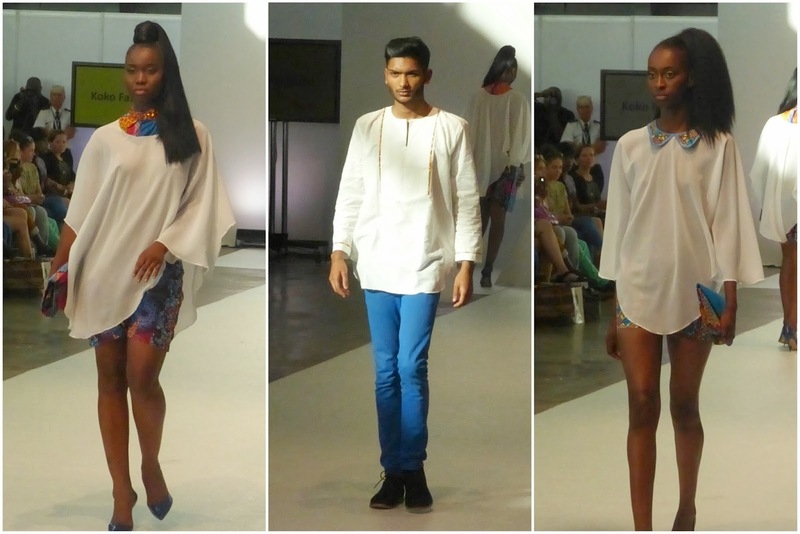 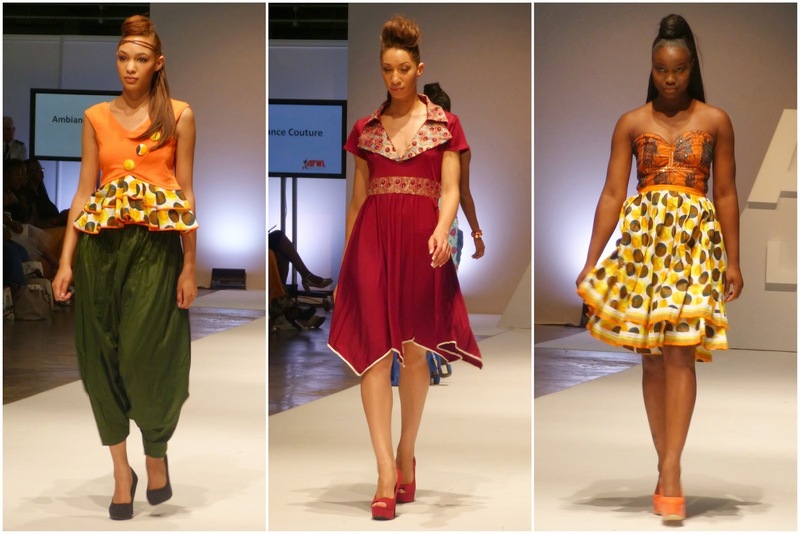 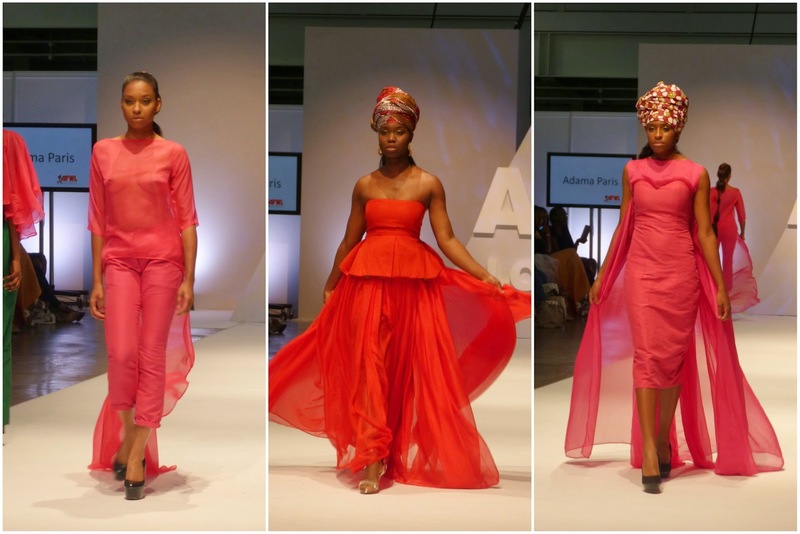 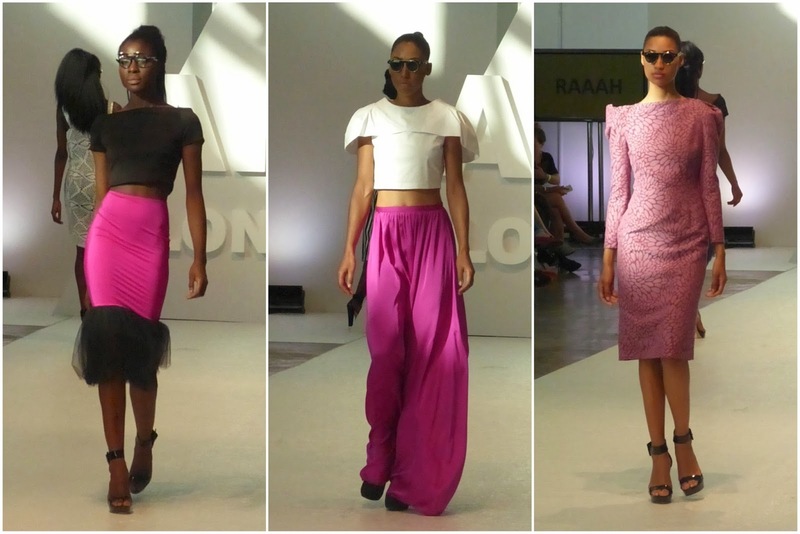 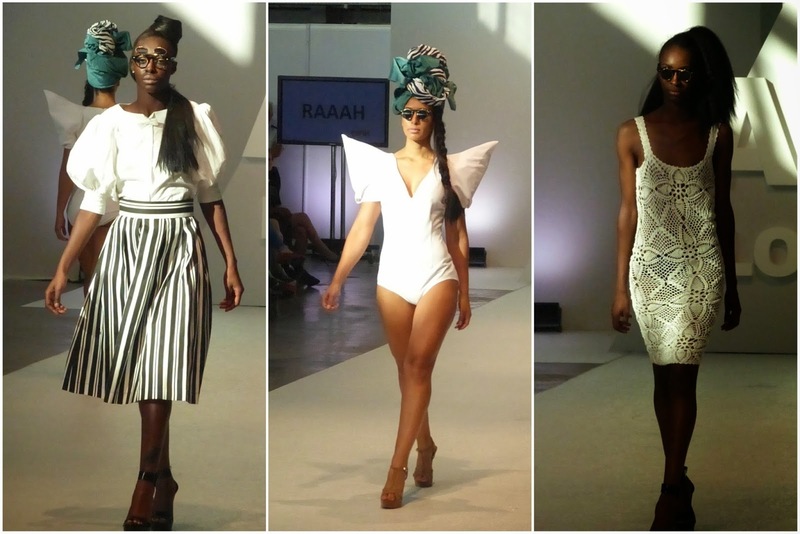 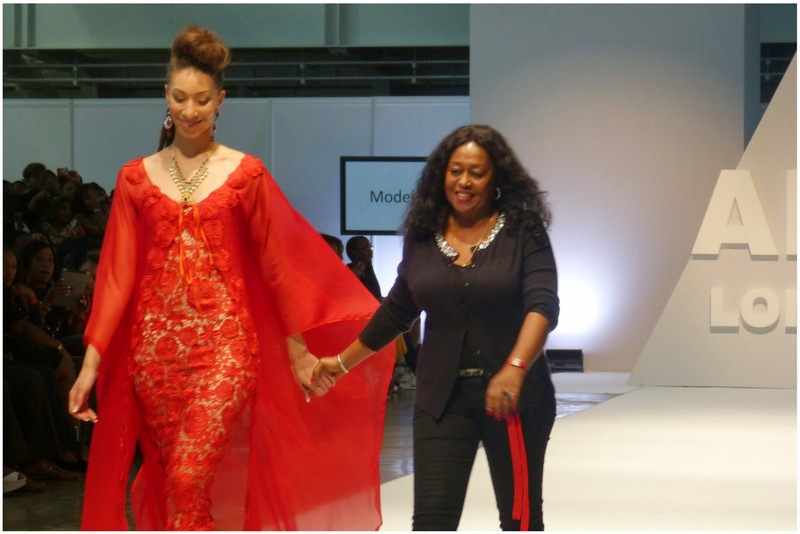 Over the weekend, I decided to head down to Africa Fashion Week London [AFWL] with +Diane. 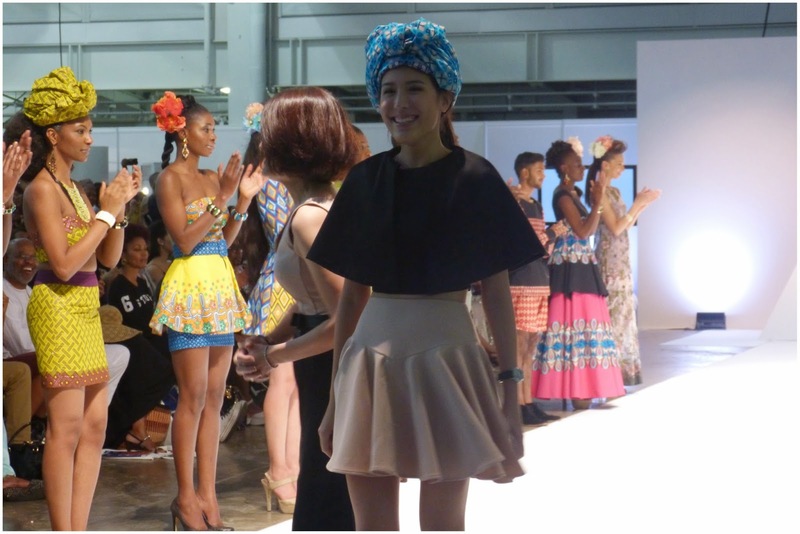 When I first started this blog, this was one of the first events I covered [amateur throwback link here if you're intrigued]. 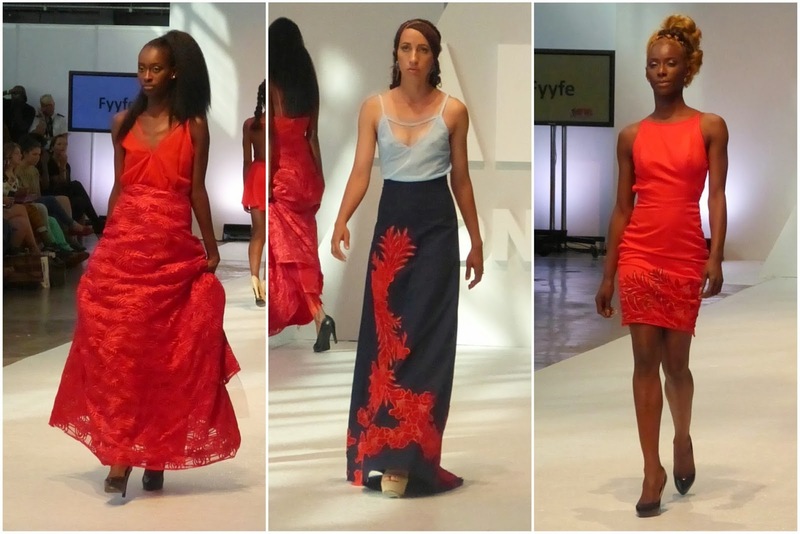 2014 marked the event's fourth year and I was keen to see how and if it had evolved. 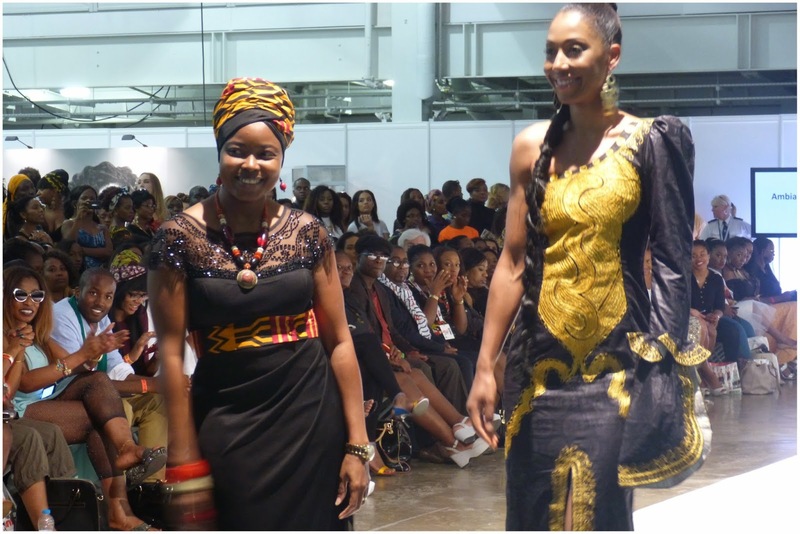 Supporting African arts and culture has always been close to me. 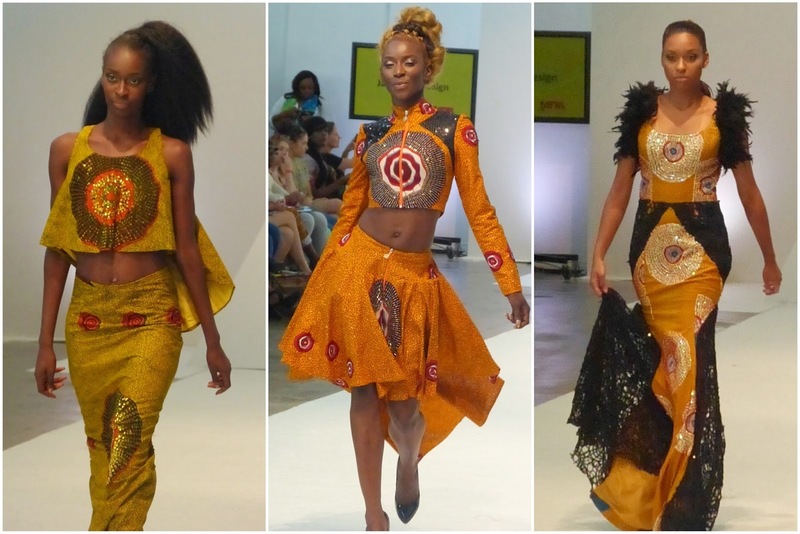 I feel like the continent is still an undiscovered melting pot of creativity and new talent. 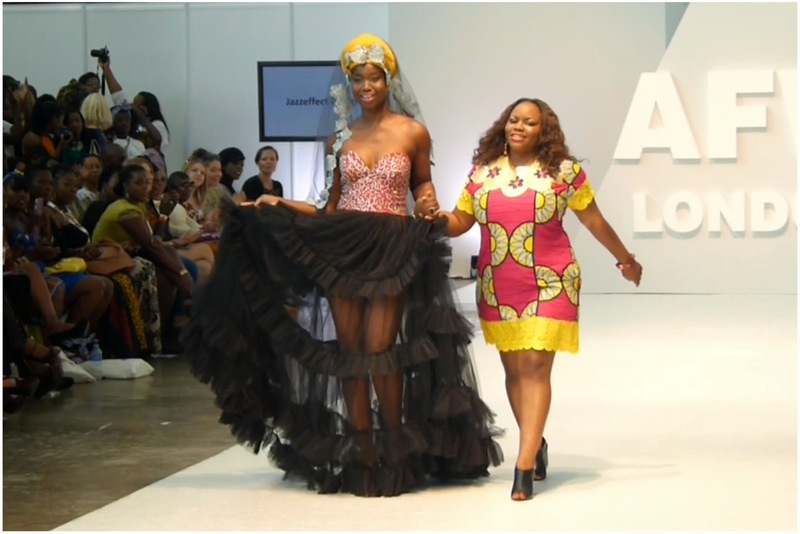 I've noticed that African print and style has slowly started to make its way into mainstream fashion - from designer handbags by Sass & Bide [which I covered here] to the ever growing and more affordable ASOS Africa collection, the African touch is starting to come into the spotlight. 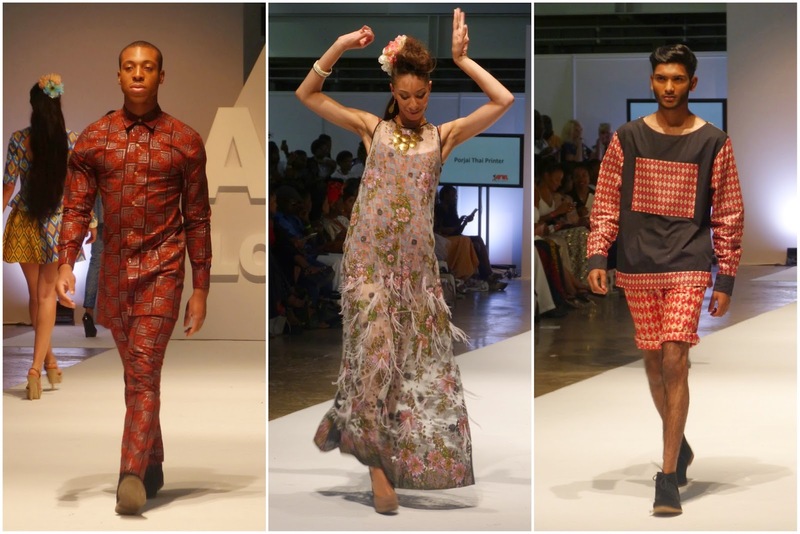 I also completely missed this as it was during WOMAD weekend [and was gutted] but this year saw a new event in London town: African Street Style Festival, a free street festival in Shoreditch in celebration of the influence of African creativity featuring dance classes, photo sessions, catwalks, art installations, music and even a salon! 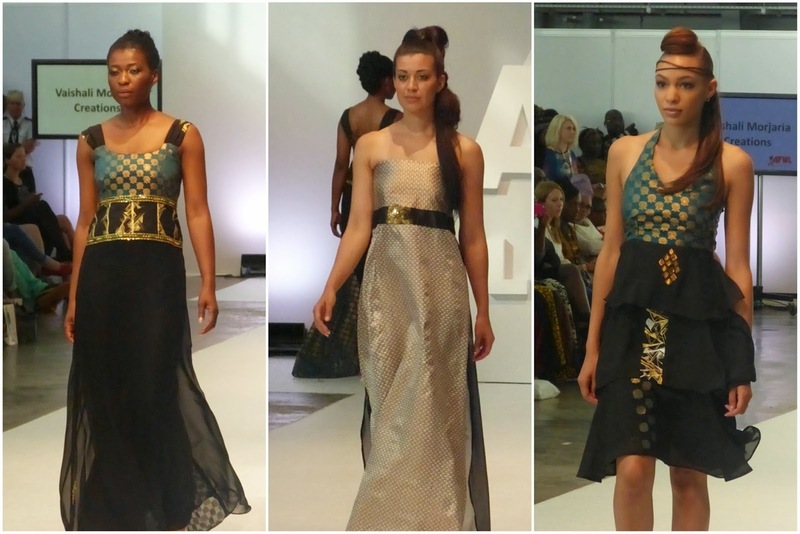 An event I definitely won't be missing next year [cross-fingers it stays on the London summer calendar]. 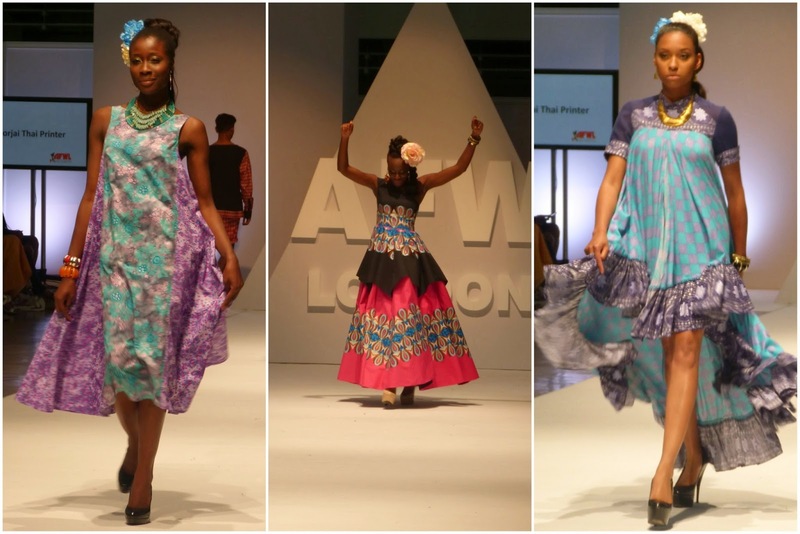 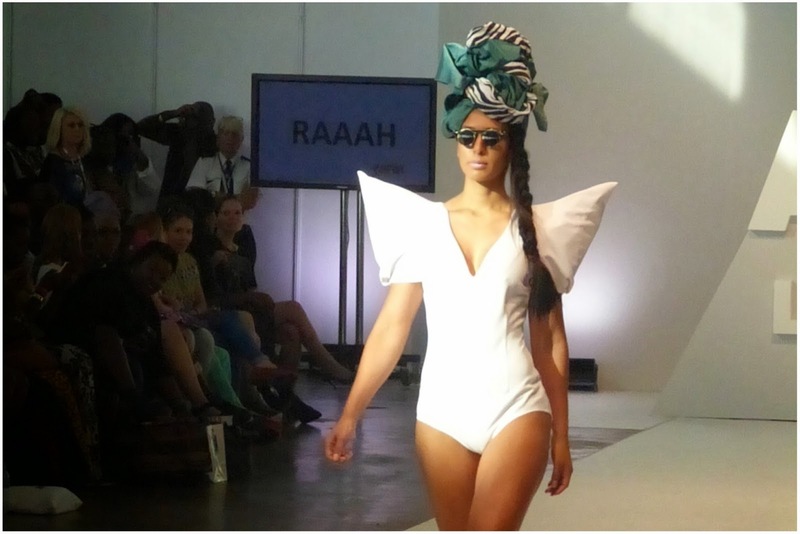 The vibe of AFWL was completely different to my first experience two years ago. 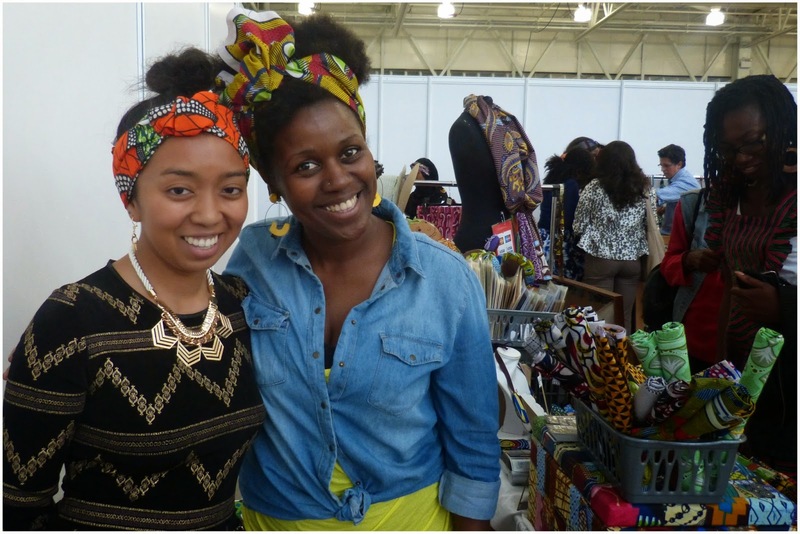 First off, it's now held in Olympia rather than Spitalfields market, which for me made it feel less Africa - what I mean by this is Spitalfields allowed the atmosphere to be a bit more hustle and bustle with a close community feel. 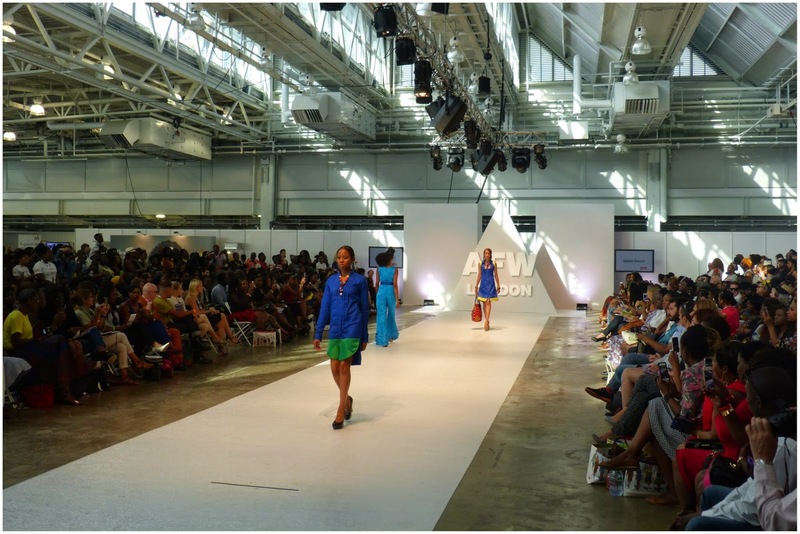 However, as events expand the venues have to be able to accommodate. 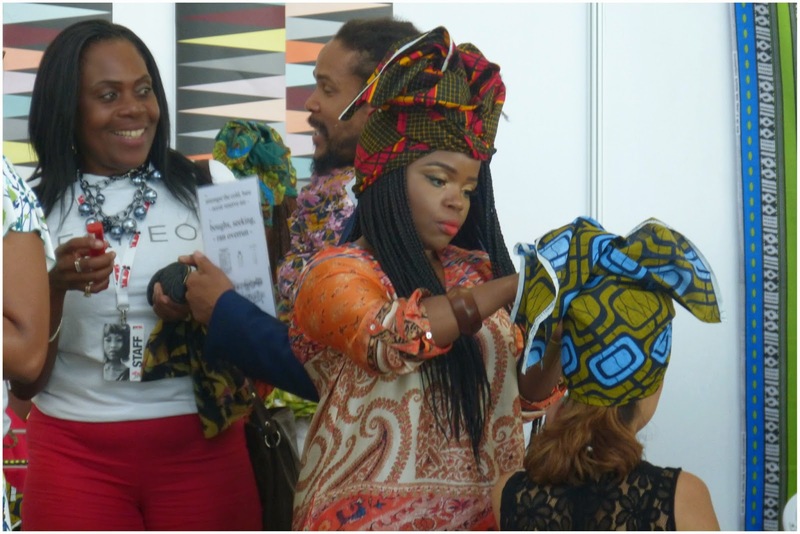 On entering the exhibition hall in Olympia, my first impression was it was a lot more professional - what I mean by this is although the number of stalls may have been exactly the same [I couldn't tell!] 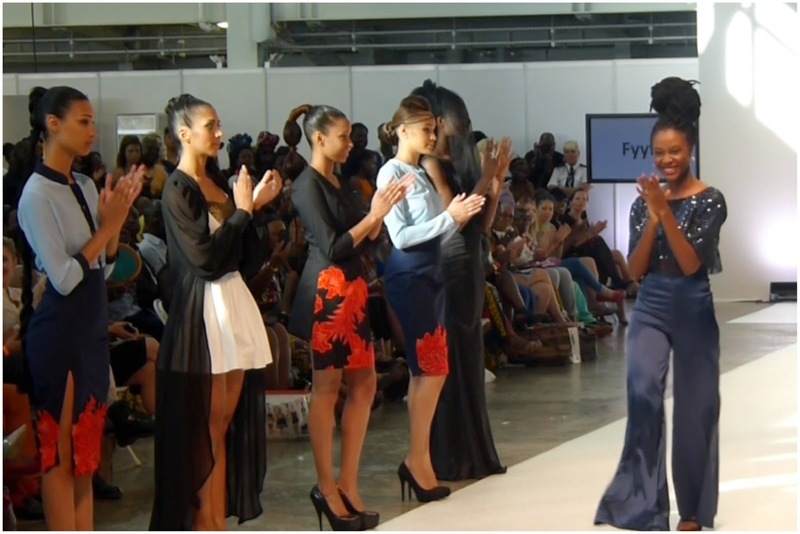 it seemed more organised and the space was much more cleanly defined. 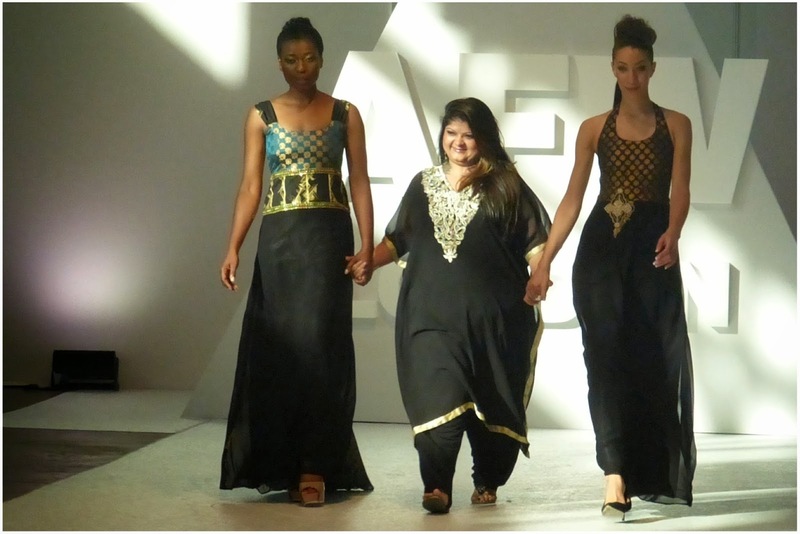 Press was also much more prominent which gave the event a more glossy sheen. 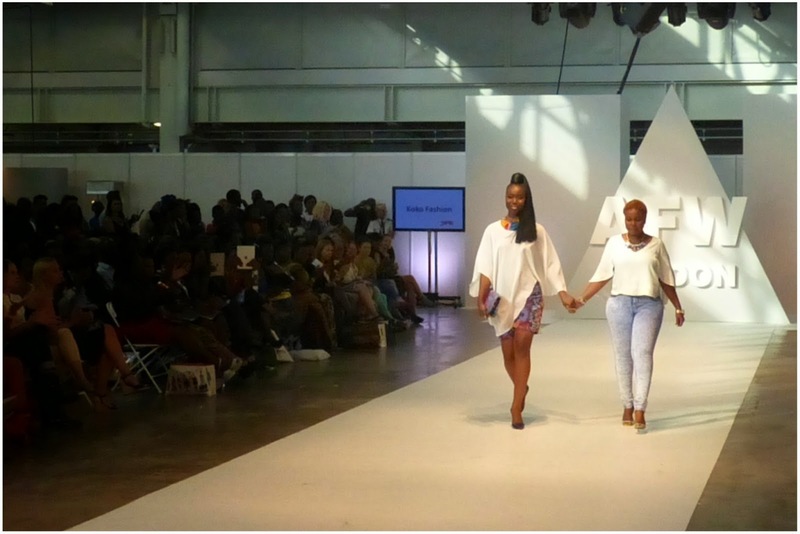 This could all just be me and what my imagination wants to run with of course, but it's amazing how a venue change can completely impact my perception. 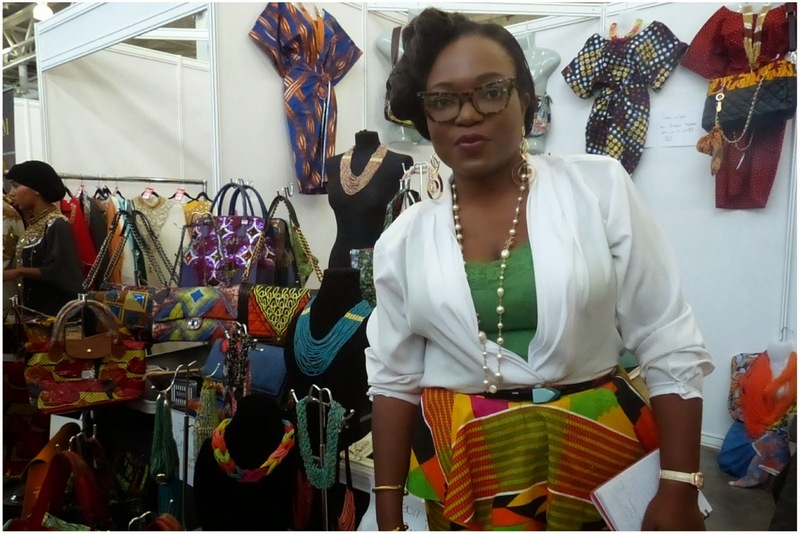 There seemed to be more stores, with a wider variety of goods on sale - a good example being the very first stall we stopped at was Brun et Noir, a new hosiery company dreamt up by Buki Adegbuyi who saw a gap in the market for hosiery that catered to 'women of colour'. 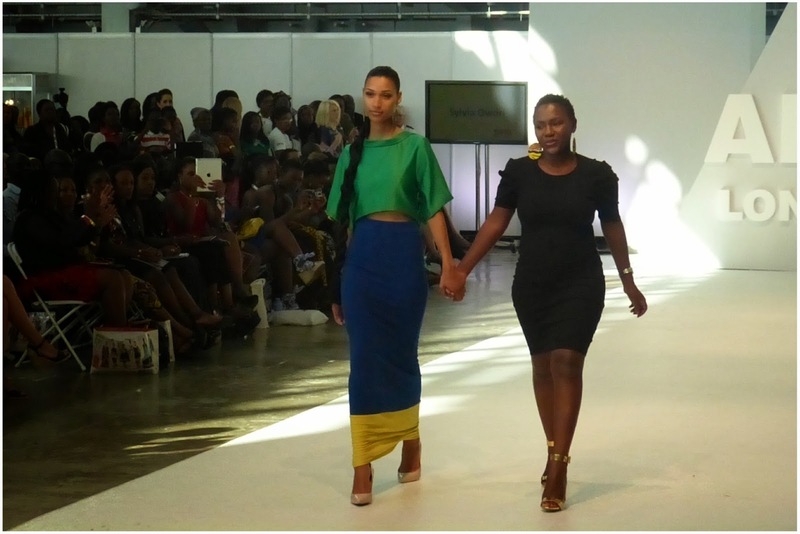 Her products aim to be inclusive of the Asian, African, Caribbean and mixed race woman; Diane was sold and immediately bought two pairs. 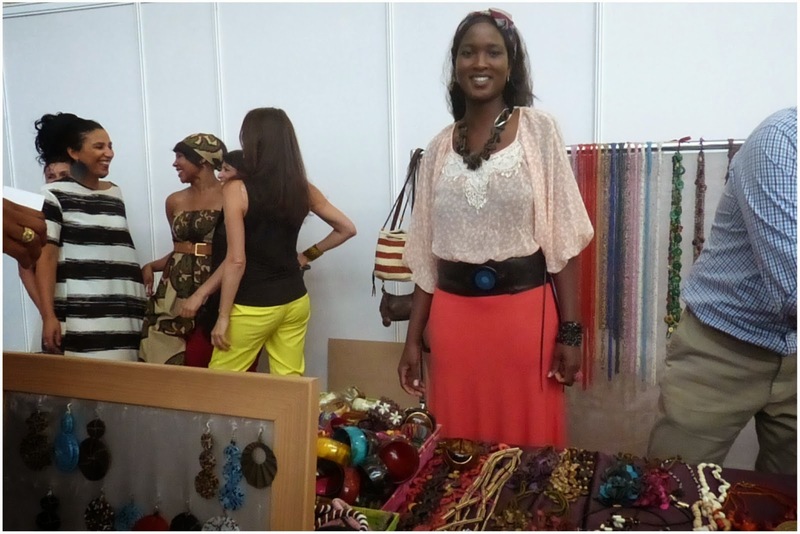 The majority of stalls stocked the classics: African print clothes, jewellery and innovative accessories - I tried something I can only describe as a belt-skirt which was cute. 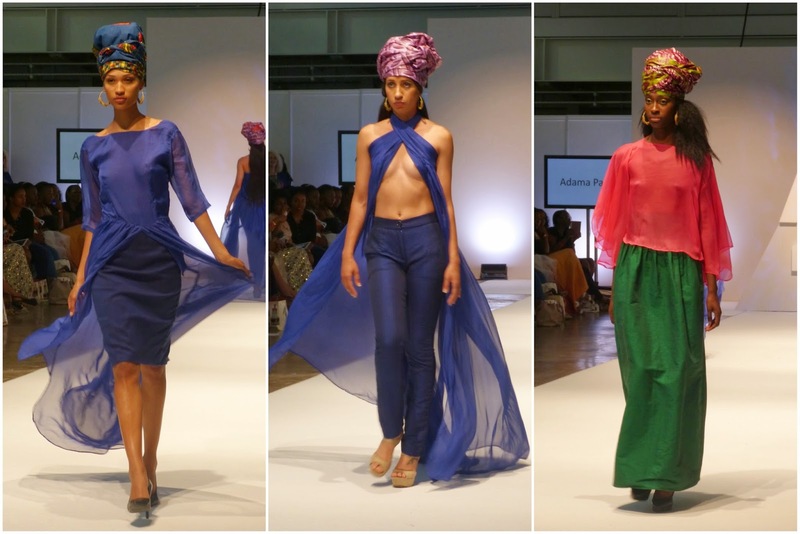 There were some familiar faces [Alabi Couture] but also some new ones - my favourites were the lovely Anais of Anaisarts who showed me how to tie my pretty new headband properly, Liberty of Quincy's Collection and Bola of Tóté London who also owns Sam Snow Vintage in North London. 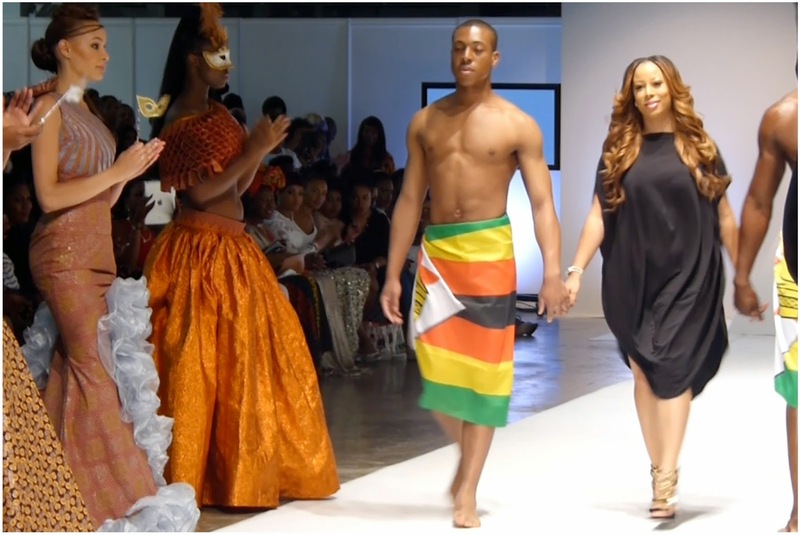 Naturally, the main event was the catwalk show. 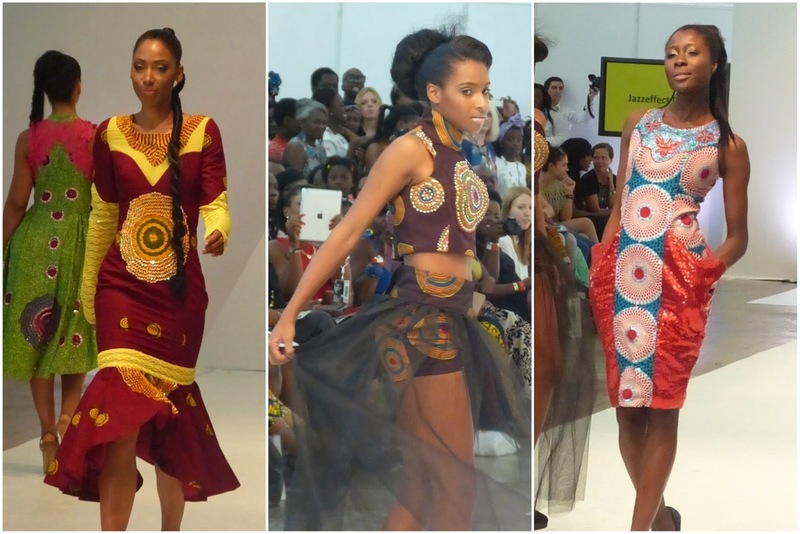 We were spoilt with a variety of different designers - influences reflected anything from the traditional prints and cloths to designs with a Western and/or Asian twist. 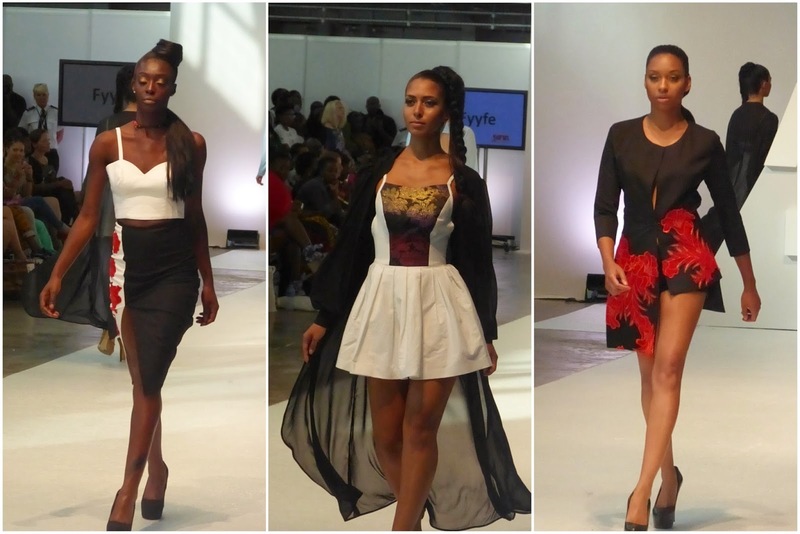 Some kept it quite classic while others had fun with models dancing down the runway. 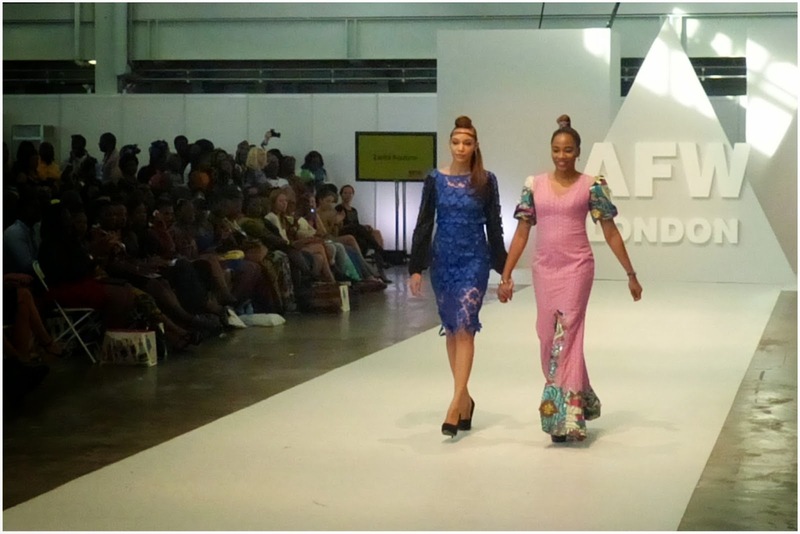 It was a great representation of the diverse taste and style across the African continent, but also highlighted how Western and Asian fashion have already started having an influence of the continent's style. 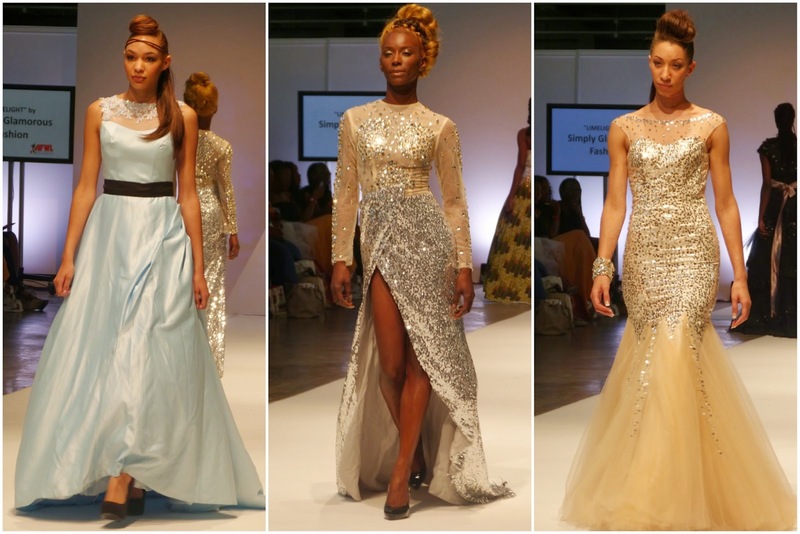 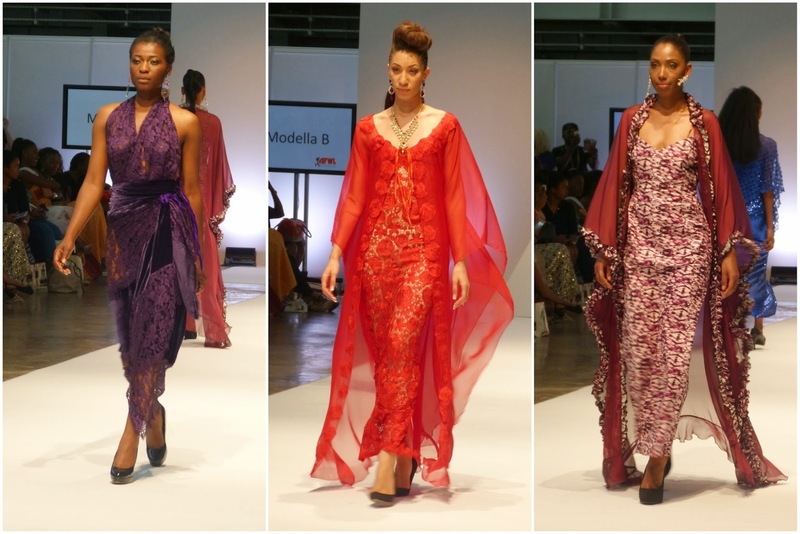 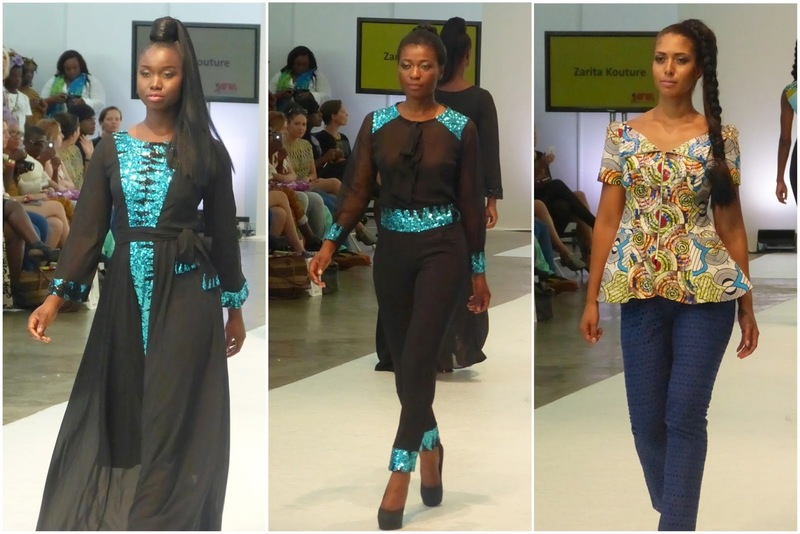 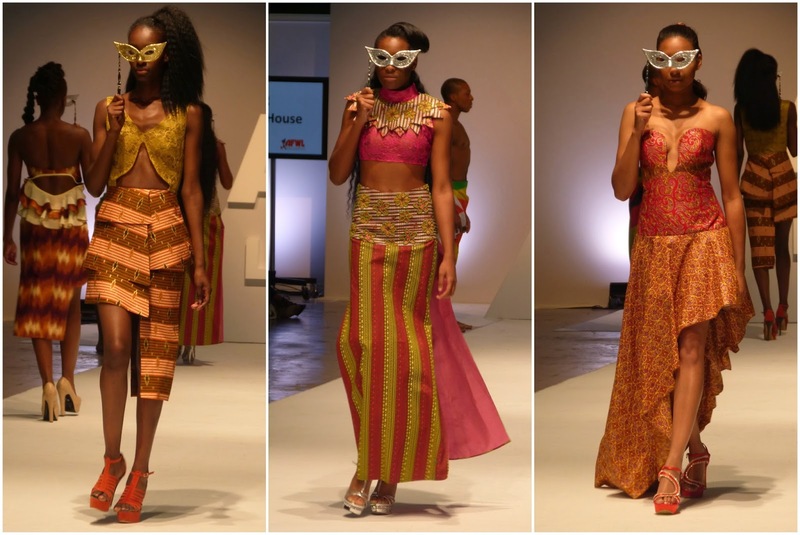 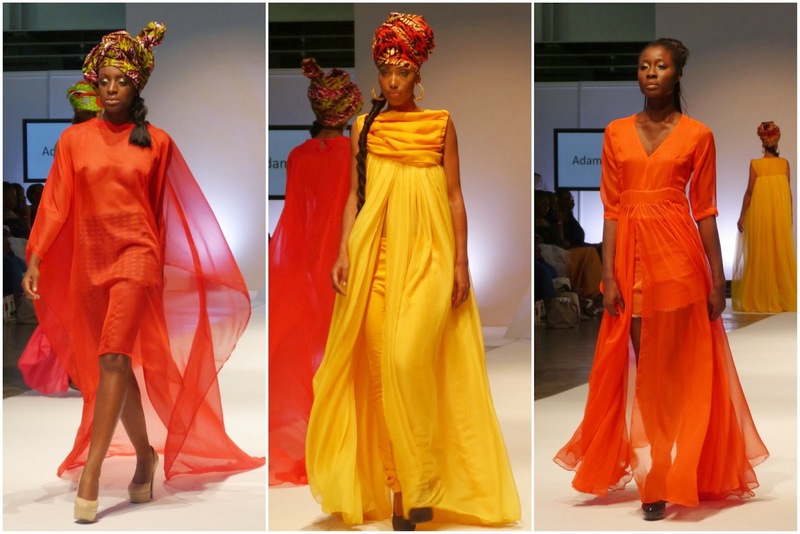 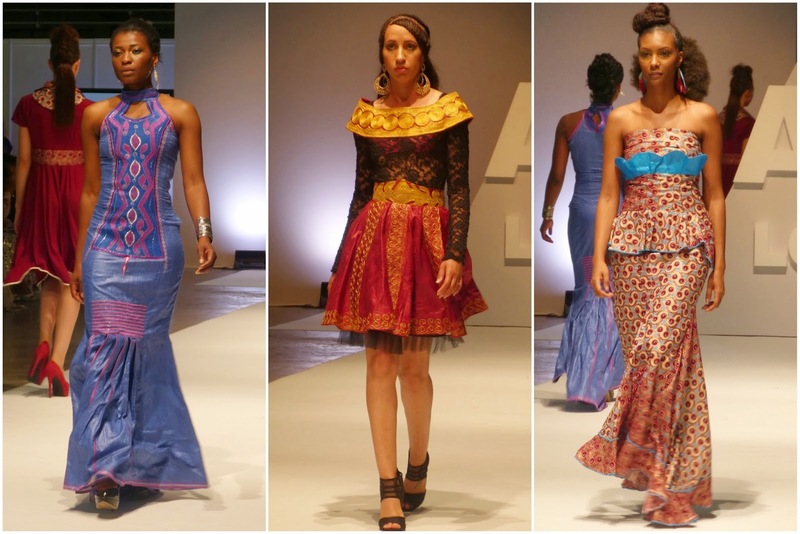 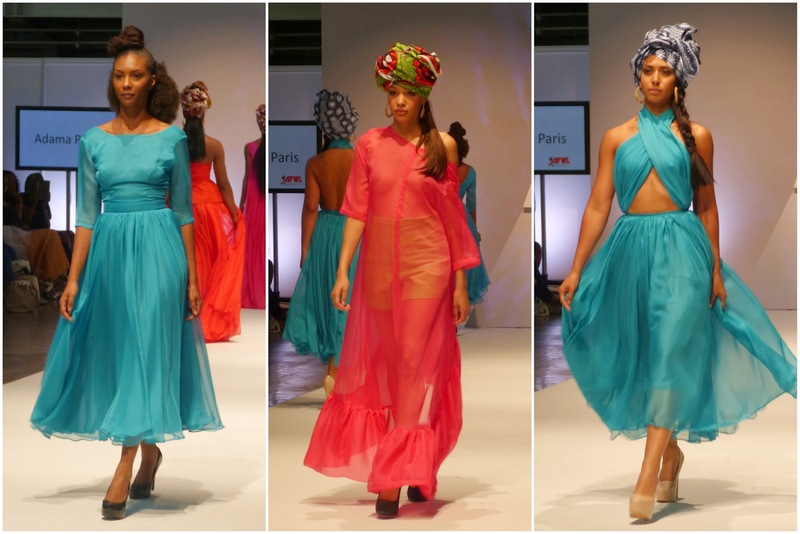 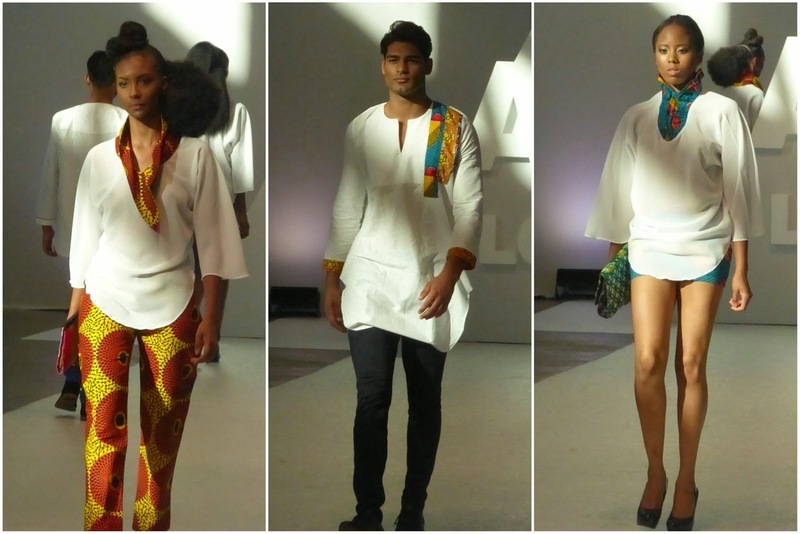 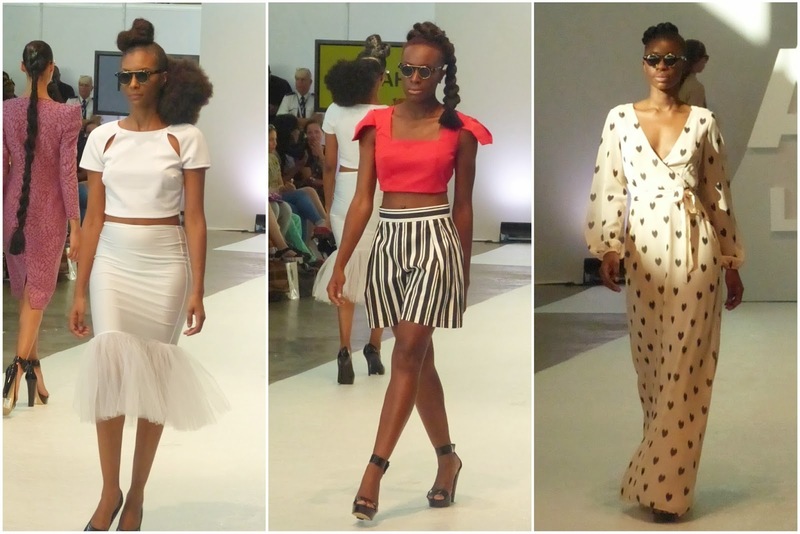 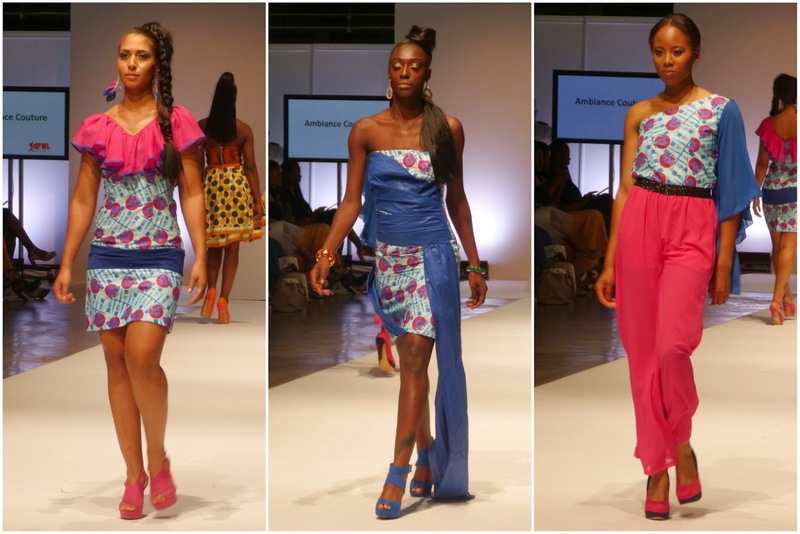 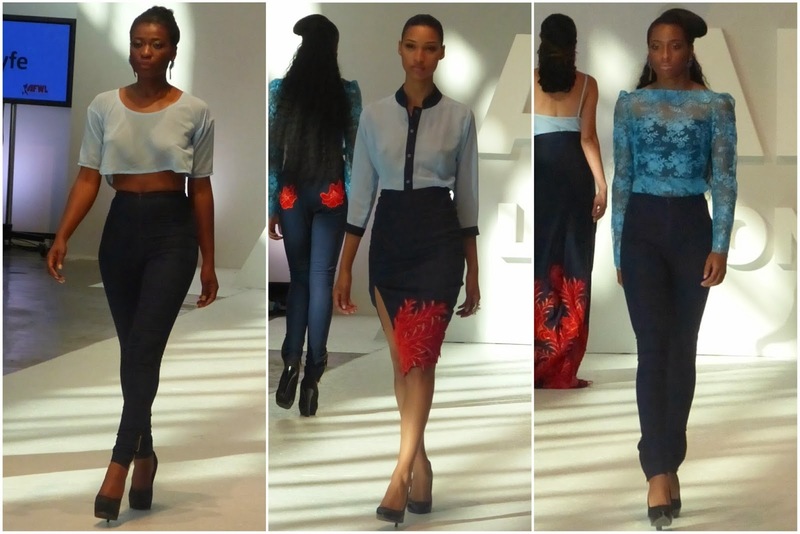 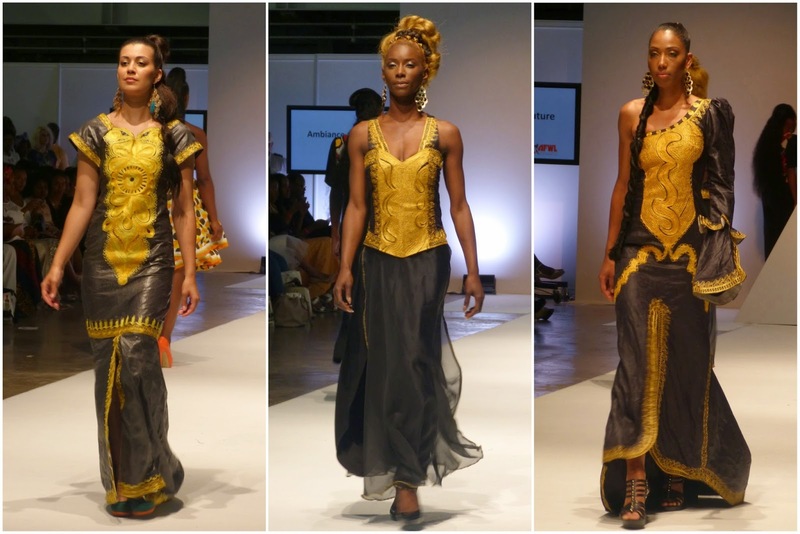 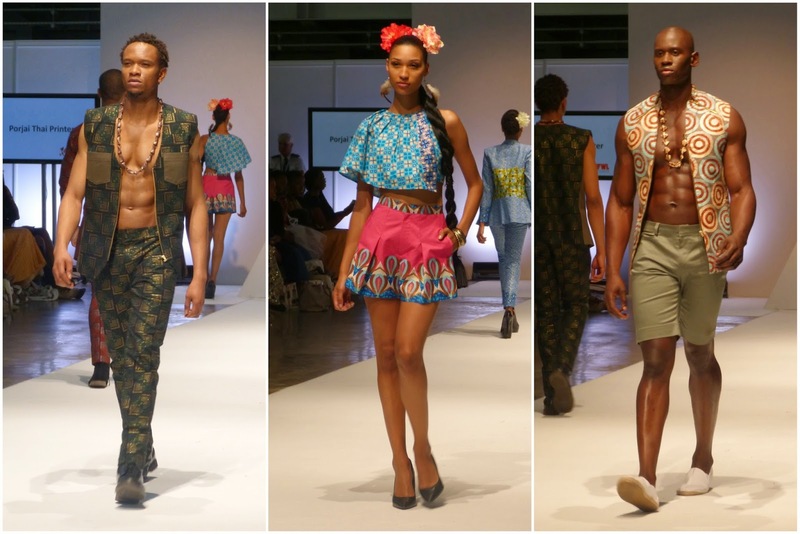 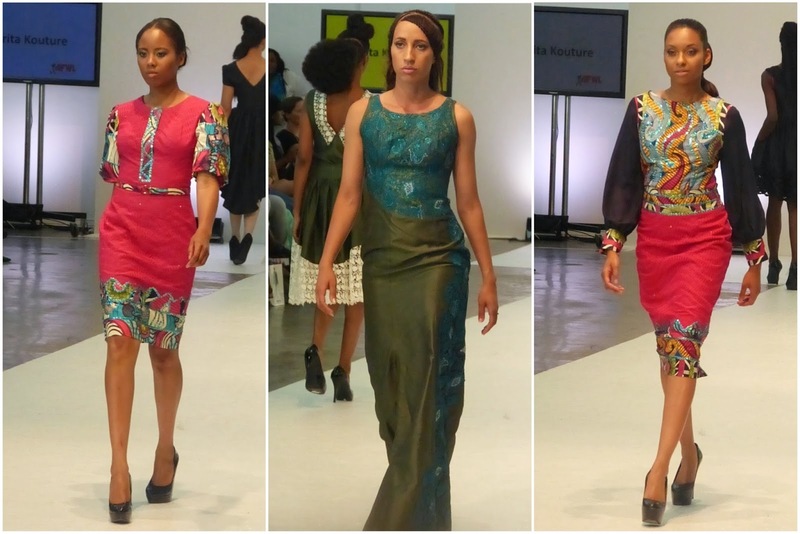 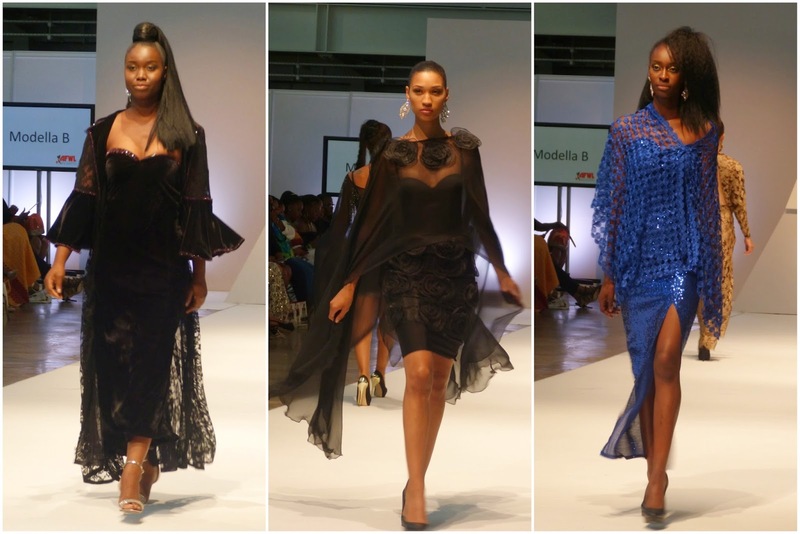 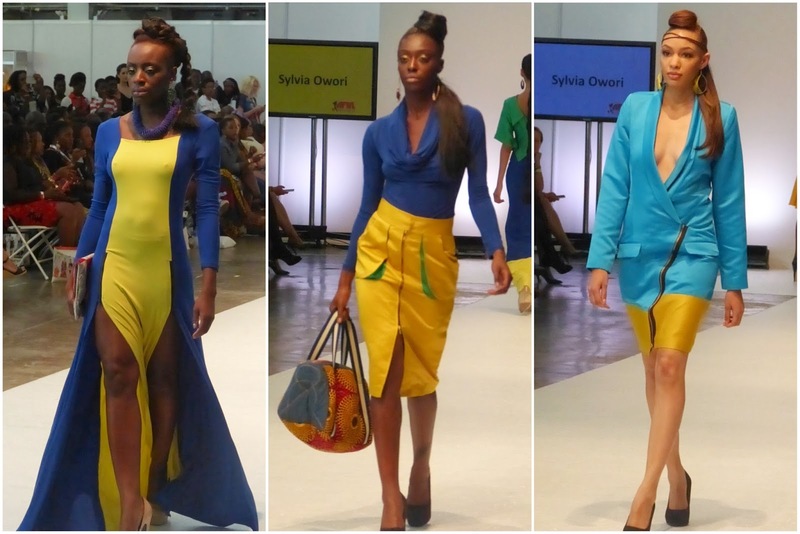 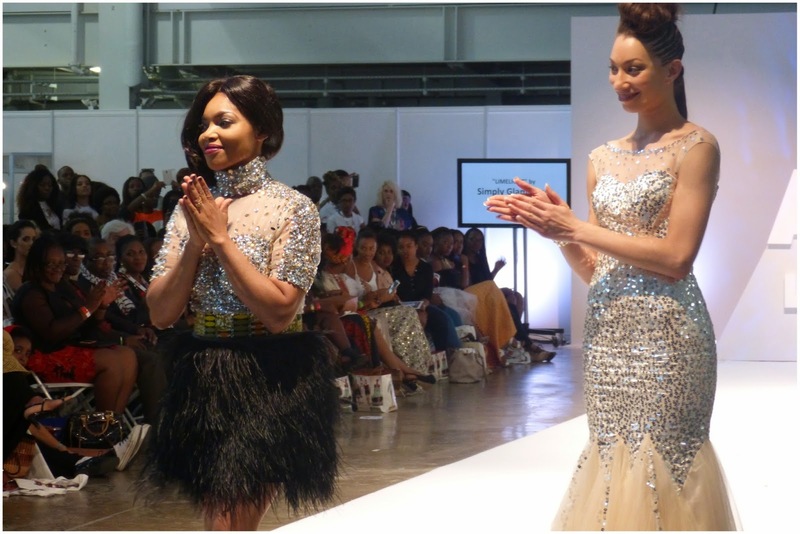 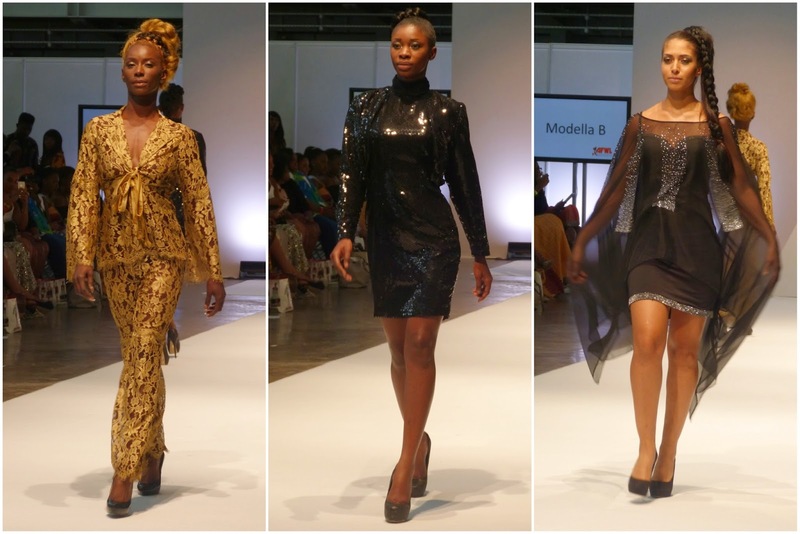 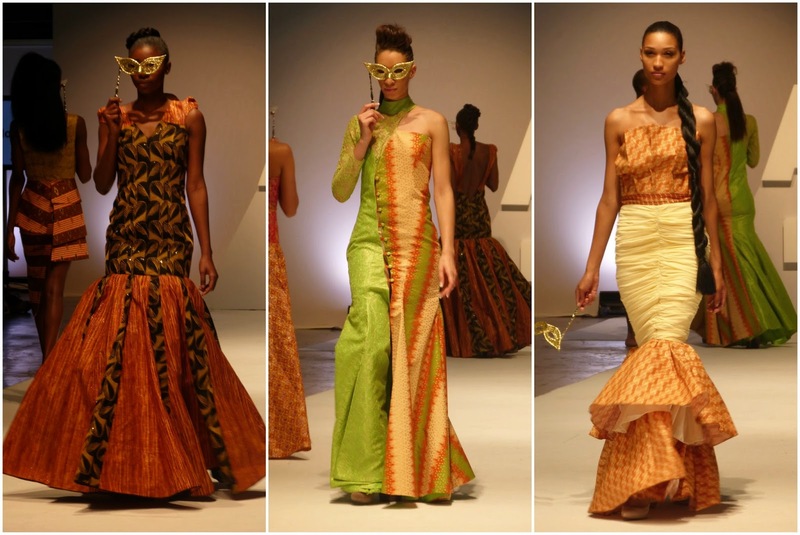 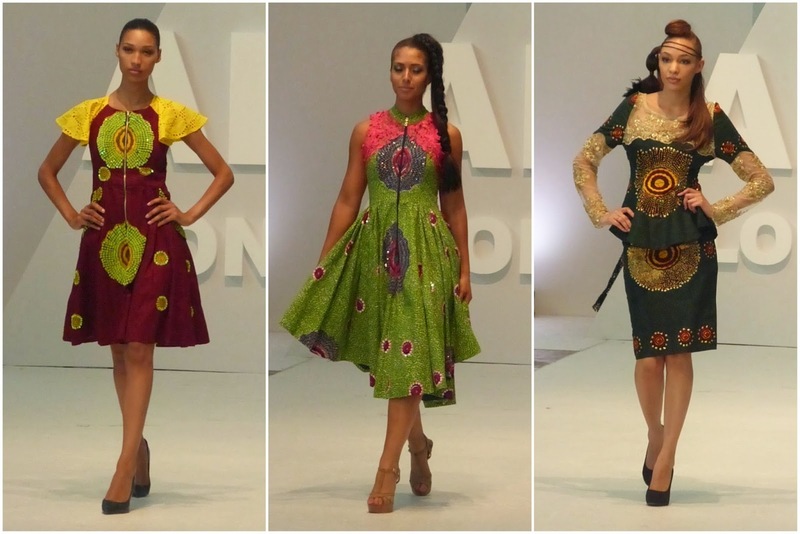 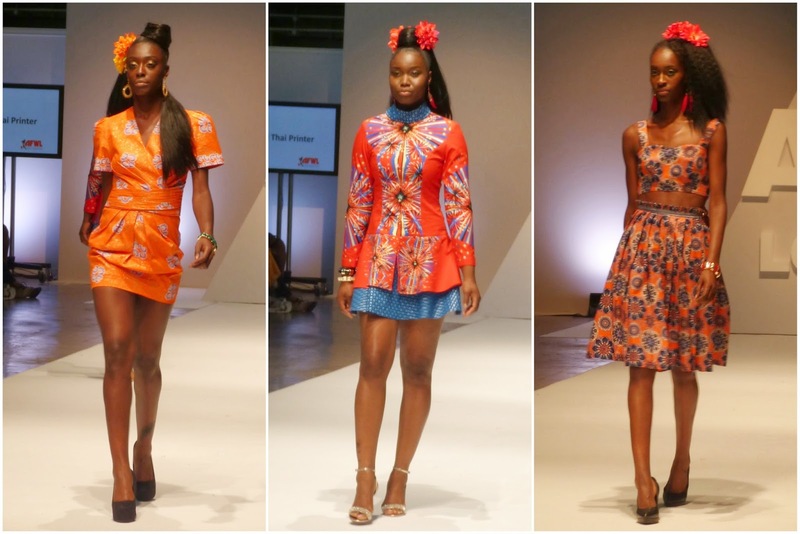 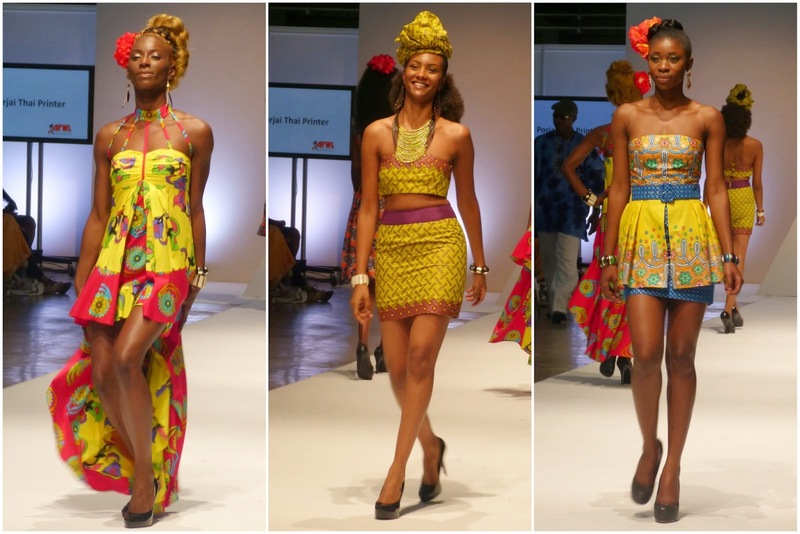 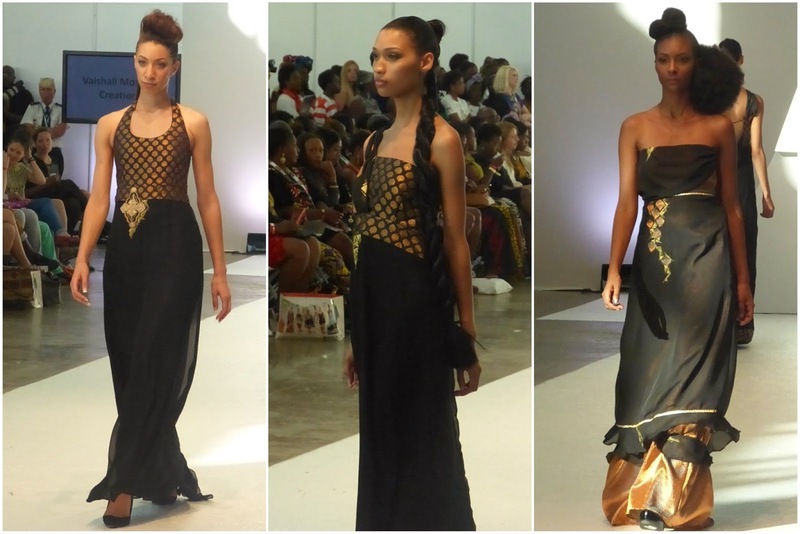 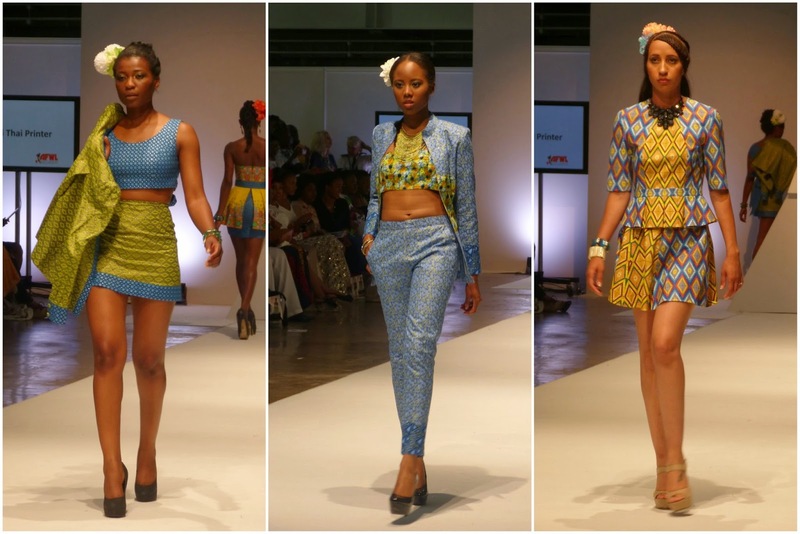 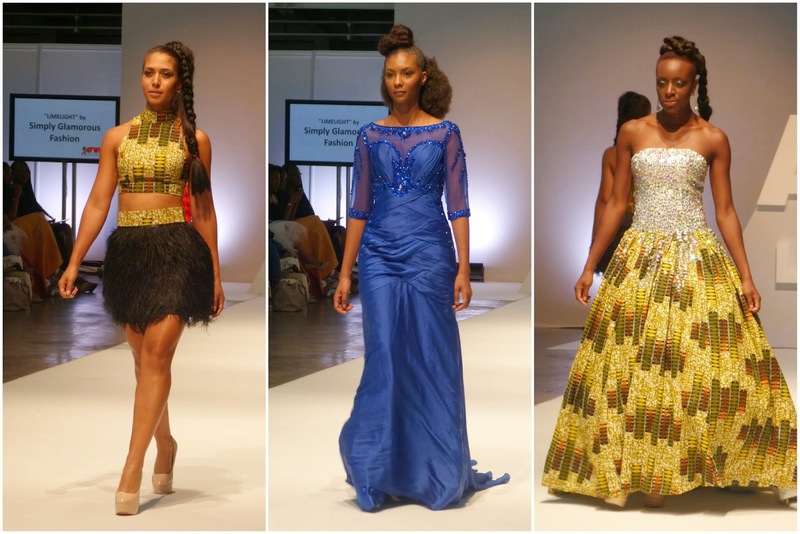 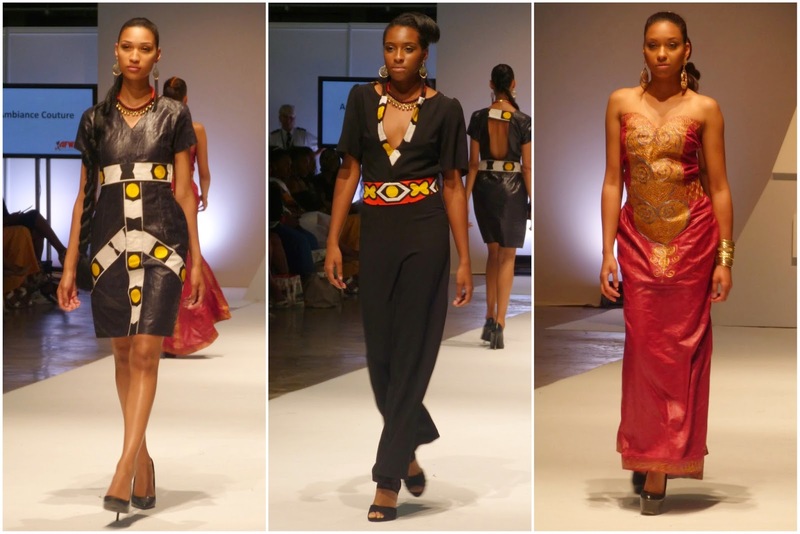 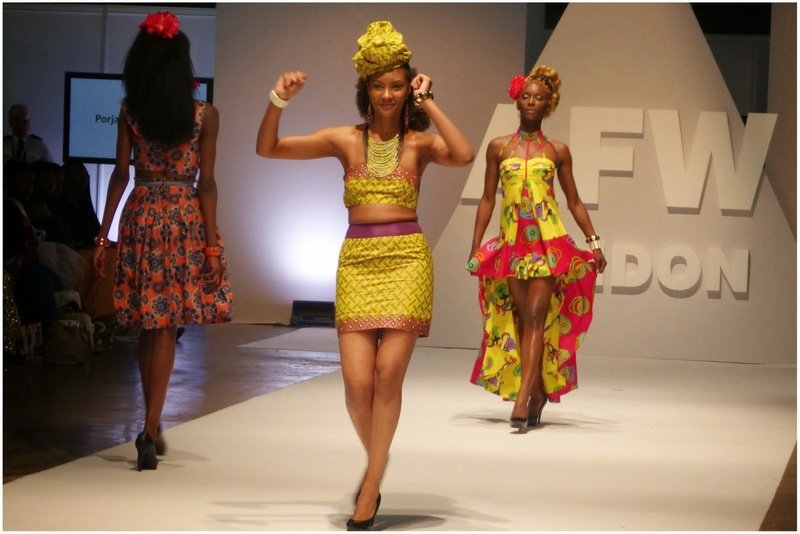 Were you at Africa Fashion Week this year? 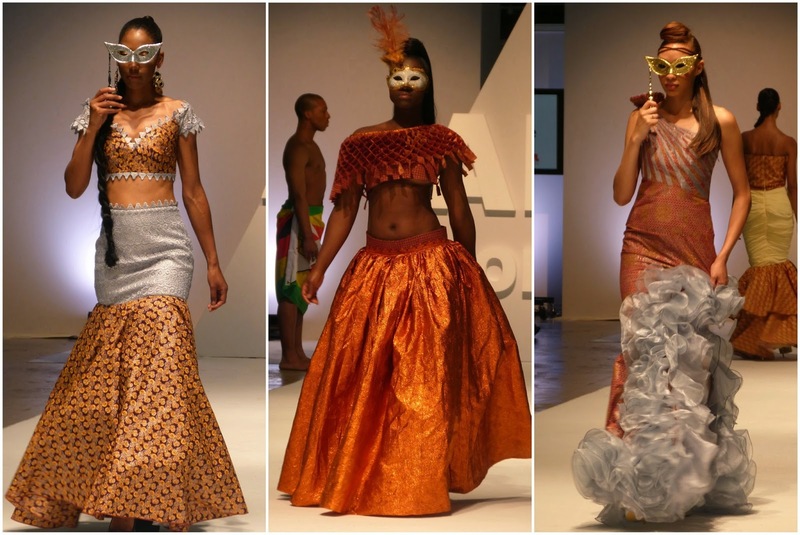 Who was your favourite designer?